Operatives of the National Drug Law Enforcement Agency have arrested three suspects for alleged attempt to smuggle drugs in and out of the country. John Ifechukwu and Victor Anadu were intercepted at the Nnamdi Azikwe International Airport, Abuja. They reportedly swallowed 65 and 54 wraps of substances to conceal the drug. The spokesperson for the NDLEA, Jonah Achemah, also said a 37-year-old woman, Omotayo Anifowoshe, was also arrested at the local wing of the Lagos airport with 3.0 kilogrammes of ephedrine and 1.9kg of cocaine. Achemah said, “Ifechukwu flew in from Lagos and was intercepted at the airport in Abuja. He excreted 65 wraps of substances weighing 864 grammes out of which only one wrap tested positive for methamphetamine. He was on his way to Indonesia. 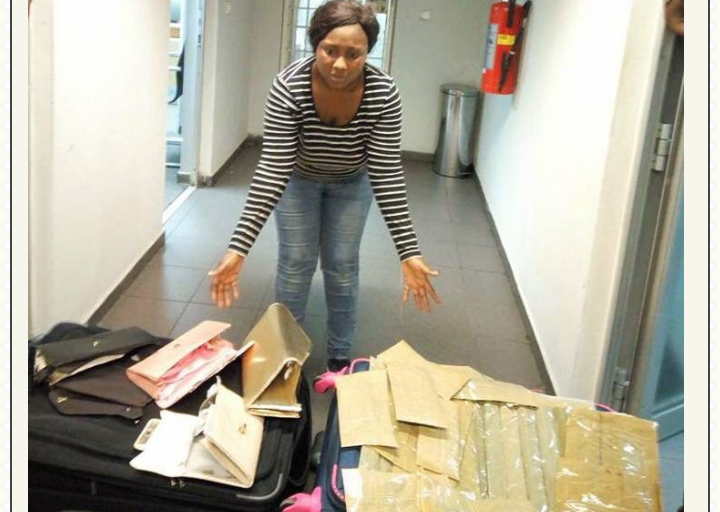 Anifowoshe, 37, an indigene of Epe, Lagos State, was arrested moments after landing in Lagos and was to connect her flight to South Africa through a short cut linking the local airport to the international airport, after successfully boycotting security screening point.